TWO BIT RUMOR is a rock band that weaves contemporary, alternative, and classic rock into a tapestry of sound! 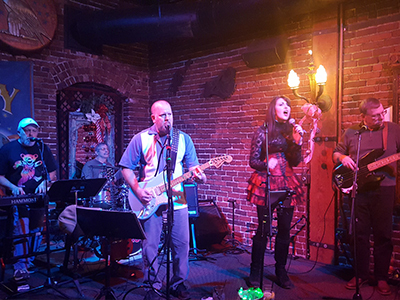 An entertaining event band, TWO BIT RUMOR band members have played at many of the greater Portland-Vancouver area's best clubs and are an easy choice for private parties! You can rely on TWO BIT RUMOR for professional courtesy, imperial sound equipment and instruments, and the dynamics to deliver your next music event!